Drugs can hurt and drugs can heal. Often people with psychiatric problems are given powerful medications to help them cope with and manage their problems. It is unfortunate that sometimes these helping medications get out of control or are used in the wrong way. When an addiction to psychiatric medications occurs, it can be very hard to escape that addiction. A psychiatric medicine detox is in order after an assessment by a professional treatment team. It is important to do this psychiatric medicine detox carefully to prevent aggravating a psychiatric condition while weaning the patient away from his addiction. Part of the problem in doing a psychiatric medication detox is determining how this drug problem came to exist and what purpose it serves. The patient may honestly need medication, but often they must detox from all psychiatric drugs and take a “drug holiday” doing without any medicine before the process for appropriate medication can be approached. Psychiatric drug addiction can be the result of “polypharmacy” the act of prescribing multiple drugs from multiple classes to alleviate undesired symptoms, like depression, agitation, hallucinations or lack of sleep. Psychiatric drugs can also become addicting agents when a patient has a prescription but uses the medication in ways not specified by his doctor. 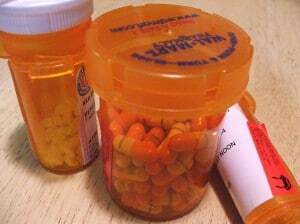 An addicted person begins to lie to be able to pick up enough medication to feed his addiction. Psychiatric Medicine Detox is best done under close supervision of a doctor. A user cannot quit cold turkey as it is dangerous. It can cause seizures, or sudden changes up or down in blood pressure. It can even kill the patient. In-patient programs are the best way to detox if at all possible. There are thirty, sixty and ninety day plans that can be customized to the individual. When going through a psychiatric medicine detox the safest step is to detox or withdraw from one medication at a time. For safety’s sake start with the most mild medication first and step down usage. At the same time drink sufficient water and eat nourishing foods. A body must be strong and healthy to be put through the withdrawals from multiple medications. Some detox treatment centers use alternative drugs temporarily while weaning someone off of Psychiatric medications. Other treatment models use intravenous vitamins, minerals and amino acids to help flush the addictive substances from your body. This is considered a holistic approach. Some detox centers are very spa like. There are healthy chef designed meals, massage, yoga and things that make the body feel healthier while learning not to need drugs. All of these things are valuable in healing from addictive psychiatric medicines; However, it is important that this regimen be supervised by a medical professional. If you need help, find counseling and psychiatric medicine detox center to help guide you through the withdrawal process. Expect to have medical and nutritional interventions, accompanied by wellness activities. Plan to participate in individual and group therapy to become healthier in body and mind together as you and your therapist chart your route to being free from psychiatric medication addictions.